If you are not interested in owning physical gold – such as coins or bullion bars – you can buy the companies that bring in the gold. Owning shares of gold mining stocks are one way of investing in gold without having the physical gold in your possession. When buying gold mining stocks, you are investing in companies that own gold mines. In many cases in a bull market, mining stocks do increase faster than the price of gold. This is known as leverage – because the costs of mining tend to be stable, their profits are usually magnified by changes in gold bullion prices. When the price of gold rises, companies producing gold see their earnings increase at a faster pace than the metal itself. For example, let’s say you owned a mine that can produce cold, at the cost of $1,100 an ounce. When an ounce of gold is worth $1,200, your profit is $100 an ounce. If the price of gold jumps to $1,500 an ounce – an increase of $300, or $25% – your profits have jumped to $400, a 300% gain. On the other hand, mining stocks do not always correlate closely with the gold market. First, it can take some time for changes in the spot price of gold to be reflected in mining stock prices. Secondly, the public tends to be more leery of investing in stocks than in physical gold. In a market where many investors are concerned about large financial products, people get nervous about stocks, causing the price to fall. Gold stocks move with the overall market; if the stock market is trending lower, gold stocks could move lower even as the price of gold moves higher. In addition, concerns over mining costs and political risks, which could decrease mining companies’ profits, have caused the price of many gold mining stocks to fall in recent years. When purchasing mining stocks, in most cases you are investing in a particular mining company, making it fairly volatile to changes affecting the specific company, rather than the gold industry as a whole. Keep in mind that your money is invested in a commercial enterprise which could have problems such as mismanagement. On the other hand, when you own physical gold bullion, there is no concern about a specific mine showing disappointing earnings or production results. 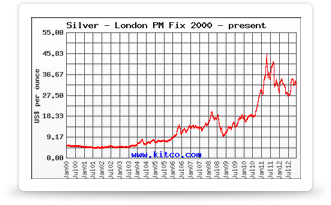 The only thing affecting the value of the gold bars you own is the current spot price of the precious metal. This makes it a less volatile investment. If you wish to invest in mining stocks but don’t want the risk associated with buying stocks in a particular mining company, you can choose from several funds that invest heavily in mining stocks. In general, larger gold companies and funds are typically the safer option when buying gold stocks. Most people are better off owning the metal itself than investing in a gold mining stock. If you are interested in investing in gold, do your homework to determine which method of gold investment is right for you.